Empty yourself. And you will be free! A man was rowing upstream in his boat. Rowing upstream is tough business because you are rowing with you back to the direction of your destination. He suddenly heard a loud noise and felt an impact rock his boat. He turned around and found that a boatman, rowing downstream, had collided with his boat. 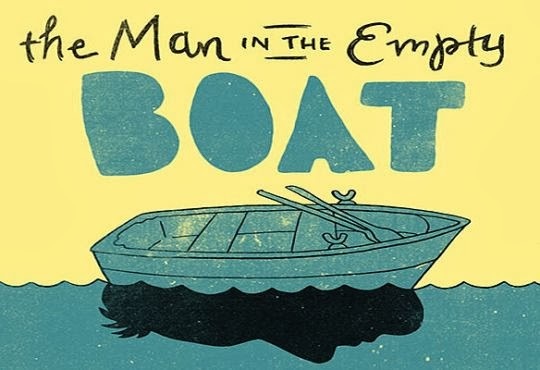 The man rowing upstream was angry and shouted at the careless boatman. The boatman appeared to look away. But the man called out to him until he turned around and demanded an apology. The boatman saw this man seething with rage and mumbled an apology. He was soon gone downstream. The man kept rowing – it was tough but he kept rowning harder because his destination was upstream. Suddenly he heard another thud and his boat rocked violently in the impact. The man flared up and turned around in anger, shouting, as he did this, obscenities. No sooner had he turned in the direction of the boat that had collided with his own, he realized that the boat was empty. There was no one in the boat! The man’s anger subsided instantaneously! He inferred that the empty boat must have broken free from its moorings because of the steady wind and must be drifting downstream. He pushed the empty boat away from his own and continued rowing upstream. As he rowed, he thought that there was a learning in that experience. He had got angry with the first collision because there was a boatman present. And even if he was not looking in his direction, he had shouted at the boatman and forced him to apologize. However, in the second collision, while anger arose in him, he quickly let it subside. He saw the pointlessness of yelling at an empty boat! He concluded that most of the time he reacted to situations because he felt the boats he collided with in Life were manned by people who were either irreverent or irresponsible. He realized that his response could be different if he treated all boats as empty – including his own! The moral of the story applies in all situations to all of us in Life. Most of the time we are reacting to imaginary perceptions we have of people. We feel slighted or hurt when people say something. We feel such people have motives. We conclude that everyone does something good to you, or to anyone, only if they see a gain for themselves in it. If someone is very nice to you, you begin to wonder why they are that way? We analyze people and situations in a zillion different ways to see if there isn’t any catch or any fine print that we are missing in any transaction or relationship. All this hyper activity in our mind makes us all very edgy, suspicious and causes us to suffer! So, one way to rid us of all this wasted energy is to see ourselves as nobodys – as empty boats. And treat others also the same way – as empty boats! No one can react from an empty boat nor can anyone react to an empty boat! Period. Chuang Tzu, a.k.a Zhuangzi, a Chinese philosopher who lived in the 4th Century BC, has written a poem called ‘The Empty Boat’. Here are relevant excerpts from that poem that connect back to our story and discussion. If you too can empty your boat, if you can lose all your cravings and trappings of power, respect, recognition and ego, you too can be free and sail through Life – experiencing its beauty and magic – with no grief or suffering!